One of the questions that is most frequently asked - or, more accurately, that should be asked - by an employee who is looking to make a move in the same industry is whether updating his social media profiles might violate his non-compete agreement with his former employer. The truth is, there is scant case law on this subject, and, to date, no court, to my knowledge, has announced any bright line rule stating whether such activity is inherently permissible or not. The few opinions addressing this question head-on have come down on both sides of the issue, but were careful to do so on a limited, fact-specific basis, rather than making any broad statements of law. "BTS had no policies or procedures regarding employee use of social media; did not request or require ex-employees to delete BTS clients or customers from LinkedIn accounts; [and] did not discuss with Bergmann his LinkedIn account in any fashion…Thus, under the circumstances, Bergmann's use of his LinkedIn account after he left BTS did not breach his employment contract." Other courts across the country have similarly held that "friending" former clients on Facebook, or lauding a new product line at a new job did not violate a non-compete (see, e.g., Enhanced Network Solutions Group v. Hypersonic Techs., 951 N.E.2d 265 (Ind. Ct. of App. 2011); Invidia v. DiFonzo, 2012 WL 5576406 (Mass. Super. 2012); Pre-Paid Legal Services v. Cahill, 924 F.Supp.2d 1281 (E.D. Okla. 2013). 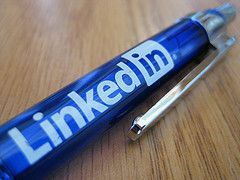 Conversely, a Michigan court held that a former employee violated her non-compete by actively soliciting his former co-workers and clients via LinkedIn. However, it bears mention that this particular employee did a lot more than merely posting his new job listing; he stated, "If you knew what I know, you would do what I do," implying they would leave plaintiff. This, the Court held, constituted far more than passive, untargeted communications. While it is hard - and inaccurate - to give a bright-line rule, the courts' holdings seem to suggest that absent a contrary provision in the employment contract, merely posting an upated profile to reflect a new job would not inherently violate a non-compete. However, that doesn't mean employees are necessarily in the clear on this. Since the courts have declined to set a clear rule on the subject, it is unlikely that a court would dismiss out of hand - and before costly document discovery and depositions - a former employer's claim that its employee violated a non-compete by updating his social media profile. This means that although the former employee may, in the end, prevail in defending this claim, he may bear a tremendous expense in doing so. Post a Comment to "Does LinkedIn Posting Inherently Violate a Non-Compete?"